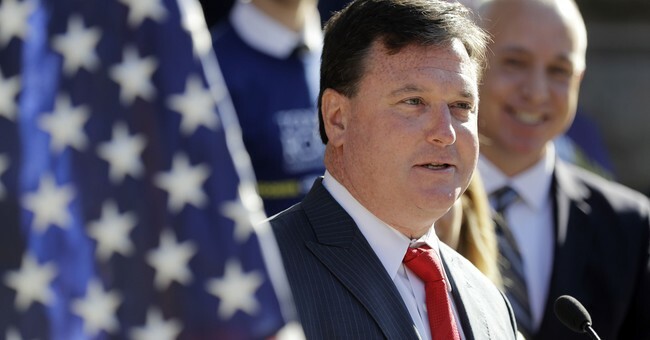 Following Thursday’s not-guilty verdict in the Kate Steinle trial, Rep Todd Rokita (R-IN) introduced legislation Monday that would punish elected officials who refuse to enforce immigration laws with large fines and jail time. Rokita’s “Stopping Lawless Actions of Politicians (SLAP) Act” targets state and local lawmakers who refuse to comply with federal immigration law and enforcement efforts with a $1 million fine and up to five years in prison if they are convicted. “It’s time the federal government gets serious about enforcing immigration laws and holding politicians accountable who conspire to break them,” Rokita added. Illegal immigrant Jose Ines Garcia Zarate was found not guilty of murder by a San Francisco court Thursday for the 2015 killing of 32-year-old Kate Steinle. Zarate was found guilty of a weapons charge and is once again being deported by U.S. immigration officials. He had been deported back to Mexico several times prior to Steinle’s killing and has previous convictions for re-entry after deportation. Prior to Steinle’s shooting, Zarate had been released from a San Francisco jail following the dismissal of a minor drug charge. While U.S. Immigration and Customs Enforcement had issued a detainer for him, he was released under San Francisco's sanctuary city laws. Rokita also supports “Kate’s Law” – a bill, named after Steinle, that would increase penalties for illegal immigrants who were previously deported.